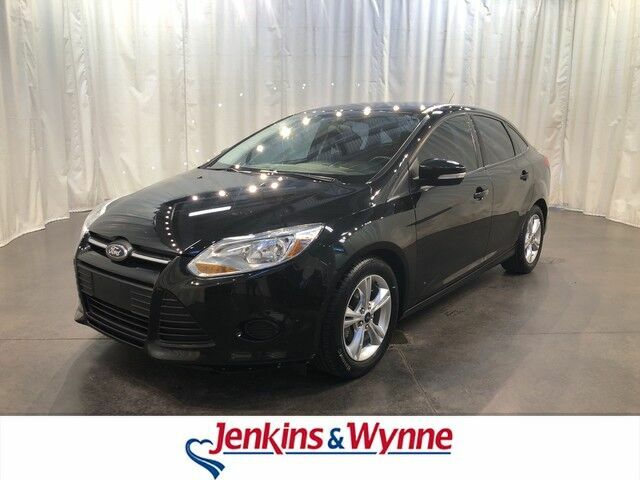 Jenkins & Wynne is pleased to be currently offering this 2014 Ford Focus SE with 83,452mi. Why spend more money than you have to? This Ford Focus will help you keep the extra money you'd normally spend on gas. You can finally stop searching... You've found the one you've been looking for. The Ford Focus SE will provide you with everything you have always wanted in a car -- Quality, Reliability, and Character. More information about the 2014 Ford Focus: The Ford Focus is a small car that offers a number of features otherwise seen in larger or more luxurious vehicles. For instance, the Focus is the first vehicle in its class to offer Active Park Assist, which can actually guide and steer the car into a parking space if the driver moderates speed with the brake. It's also the first small car to offer Ford's MyFord Touch system, which relies on a sophisticated touch-screen system and has advanced voice-command features and can even provide WiFi for the car and the area surrounding. Technology aside, the new Focus stands out from the class for its excellent handling and poise, sporty driving feel and impressive fuel economy. Strengths of this model include handling and poise, fuel-efficient powertrains, choice of hatchback or sedan, sleek, charismatic style, sport-oriented ST model, fully electric Focus available, and Innovative technology like Active Park Assist and MyFord Touch Although every reasonable effort has been made to ensure the accuracy of the information contained on this window sticker, absolute accuracy cannot be guaranteed. Vehicle information is based off standard equipment and may vary from vehicle to vehicle. The prices are subject to change. Price does not include applicable tax, title, license, and doc fee. This 2014 Ford Focus SE is a 4 door 2.0L front wheel drive sedan! This beauty has black cloth interior, CD player, hands free talk, power locks and windows and MORE!